This report on the Aspen Design Summit is reprinted on Change Observer courtesy of Core77 and the author. It was originally published on Core77 on November 24, 2009. "Suddenly there is a whole population of designers trying to use their skills to have an impact on the world around them." With these words, co-chair Bill Drenttel launched the Aspen Design Summit earlier this month with the goal of generating programs and initiatives in which design solutions play a crucial role in bringing social change and innovation to as many people as possible. Having assembled leaders from the public and private sectors, and lured them to the Rocky Mountains with a bunch of designers, strategists and educators, Drenttel, of Winterhouse Institute, a co-sponsor of the Summit along with AIGA and Rockefeller Foundation, had the ingredients for an intriguing, and potentially volatile, stew. Undoubtedly a gathering of smart, accomplished professionals from a variety of disciplines could spawn an endless spring of lofty, detached, expensive ideas for solving (but not really solving) the woes of the world. But could this group accomplish the most demanding objective of the Summit: to develop feasible and fundable programs of scale and impact that could be implemented within 24 months? This was the stipulation that converted the Aspen Design Summit from a mere exercise in creative thinking into a focused, energized laboratory for social change. Those who expected leisurely hikes along the Roaring Fork River instead found themselves in late-night studio sessions and pre-breakfast huddles. To fill this tall order, the 70 attendees were split into five "studios," each focusing on a single project — a complex social problem that varied in scope and definition. Some projects had a specific client or partner organization, like those for UNICEF, dealing with early childhood development; the Mayo Clinic's rural community healthcare initiative; and, the group that I joined, the Centers for Disease Control's efforts around healthy aging. Others were looser and less defined, like the projects addressing sustainable food and childhood obesity; and rural poverty in Hale County, Alabama. Each studio group had a designated moderator and recorder, but beyond that we were very much left to find our own way through the problem without a prescribed roadmap. As the weather outside turned from sparkling sunshine to threatening clouds midway through our stay (there must be a metaphor here), we convened as a group to hear interim reports from each studio in order to gauge progress and collect feedback, and it quickly became apparent how challenging our multi-disciplinary format had proven to be. If this were a gathering of only designers and creative thinkers, we would have been free to dream without limits or accountability, but in this format we had experts from the project area embedded in each studio group. In some cases, like the Mayo and CDC projects, this blend was proving to be extremely fruitful, garnering stacks of sticky-back sheets filled with creative concepts. While others, like the Hale County group, were struggling — not with the stated design problem per se, but with the weighty ethical question of how appropriate it is for a group of (mostly white) outsiders to propose a solution for a (mostly black) population with a very complex set of challenges. At least on the surface, those studios with the most defined problem seemed able to make the most progress toward the stated goal of feasible and fundable solutions. Interestingly, though, the conflict and eventual unified outcome of the Hale County group may prove to be the best example of the value of this working model. This group, before they were able to engage in the design process, was forced to find a way for that process even to be relevant, hence their proposed solutions had a deeper, more holistic quality. Indeed, whether the ideas developed at the Aspen Design Summit will come to their envisioned fruition is impossible to say at this point, but as a format for exploring the possibilities of design methodology, the Aspen Design Summit certainly fulfilled its promise. While there are only a few legitimate angles from which to question the integrity of the Summit (the aforementioned attendees nearly as white as the snow covering the ground on Saturday morning, being one), skeptics might say that the organizers enhanced any outside perception of elitism or aloofness by suggesting a moratorium on directly quoting attendees via Twitter or blogs during the conference, which is an understandable request in the interest of allowing the group to engage freely in the creative process. But in the current age of citizen reporters — and with a conference full of professional communicators — I can't help but feel that there was a missed opportunity here to, in effect, bring Aspen down to sea level and include the voices and ideas of a broader audience (or at least to keep them in the loop). In the context of the broader successes of the Summit, this is a forgivable misstep, but let's hope a more thoughtful social media policy can be considered for future events. One of the long-term objectives of the Summit is to engage more designers in these, and other, social change initiatives. AIGA will be a key partner in this effort by reaching out to its 20,000+ member designers over the course of the next year to bring them into the process. In the end, the looming threat of winter weather caused the planned closing presentations of the Summit to be abbreviated, as we all scrambled on Saturday morning to adjust our travel plans. While this was a bit frustrating at the time, perhaps it will be a blessing in disguise. As I wedged myself into a shuttle van with nine other Summiters for the long downhill ride to the Denver airport, there was a palpable sense of unfinished business and a shared desire to carry our momentum and energy forward. Doug Powell is a designer, commentator and thought leader. 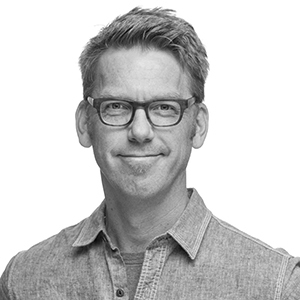 A former national president of AIGA, Doug is currently a Distinguished Designer at IBM, directing the program to scale design and design thinking across the global tech company. Proof of the value of design thinking is good news for practicing designers. Doug Powell sat down on the porch of Austin Center for Design with it’s founder, Jon Kolko to talk about design education, design for good, and how job titles are poor definitions. Doug Powell and Albert Lee continue their discussion on the role of design in tech startups. Doug Powell and Albert Lee discuss the influence of design in the tech industry, in particular in the startup sector.